Get information about North American Bancard credit card processing. Includes pricing, reviews, and FAQs. North American Bancard is a leading credit card processor that offers merchant and e-commerce services to customers across the United States. Pros: Merchant account fees vary according to business type. Cons: Many complaints about contract terms and poor customer service. Bottomline: North American Bancard provides affordable and simplified credit card processing services to small and medium-sized businesses. What is North American Bancard's price range? North American Bancard's pricing starts at 0.29% per transaction. They do not disclose any monthly fees on their website. Other fees include a minimum PCI compliance fee of $79.00 and a minimum early termination fee of $295.00. What features does North American Bancard include? Features include credit card encryption, pre-programmed EMV equipment ranging from cloud-based tablets to POS terminals, business analytics, mobile credit card readers and customization. North American Bancard allows merchants to accept credit card payments in-store and online, as well as check and gift card payments. How soon will my North American Bancard payments be processed? Payments will take up to 48 hours to process or can be funded the next working day if you batch your transactions on the POS. Do I have to sign a contract with North American Bancard? North American Bancard's service agreements are typically for three years, however some businesses qualify for a month-to-month plan. Does North American Bancard provide training? Yes, they offer credit card terminal training and reprogramming for credit card terminals. How do I get in touch with North American Bancard customer service? You can speak to a North American Bancard support representative 24/7 by calling 1 (248) 269-6000 or by sending an email to custservice@nabancard.com. Where do I find the North American Bancard login page? 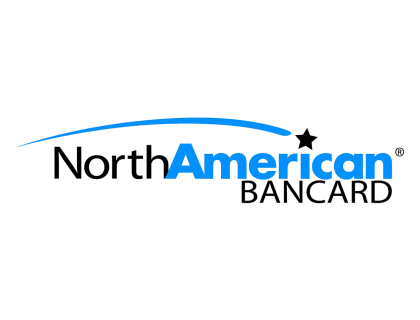 To log in to your account, go to northamericanbancard.com/login. What are some North American Bancard alternatives? NORTH AMERICAN BANCARD are frauds. Pure and simple. Want a company that steals money wholesale? I've been trying to cancel them for over a year. I finally decided it's time to get the courts and police involved. Hear that /u/nabancard? Fraud isn't only a civil issue- it's criminal.